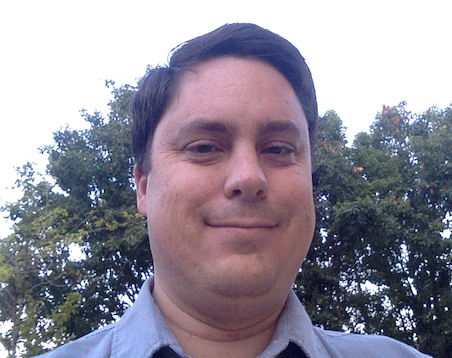 I'm Kevin Peter, a software developer currently living near Sacramento, California in the United States. I currently work as a full-stack web developer. I don't consider myself limited to those technologies, and I've continued to learn new languages and technologies throughout my career. There are a lot of technologies I would very much like to use regularly, including Node.js, Ruby, Elixir, and Docker. I enjoy working with people, particularly people who are way better than I am at something. In my experience, there's nothing more satisfying that working with a well-functioning team to get things done and making some people really happy with the software we built. My main sources of learning are technology podcasts, videos, books on Safari Books Online, and various websites that discuss a topic I'm interested in. I find that the podcasts I listen to do a very good job of making me aware of the technologies currently being used and how they are being used. I enjoy writing, which is why I decided start publishing my writing. I also enjoy teaching people stuff, and I've found that I learn so much more through the process of teaching. I have a Github page at https://github.com/Maultasche. There you'll find various small projects I've worked on over the years. I started off with programming while studying Computer Science at Cal Poly, San Luis Obispo. I also spent some time at the University of Tübingen in Germany. Back then I was doing everything in C++, transitioning to Java by the time I graduated. I also studied German and became fluent in German after living in Germany for a couple years. I really enjoy learning human languages, not just programming languages. In the past I've learned Spanish, Polish, and Hungarian, which I've mostly forgotten due to lack of use. Hungarian was a particularly interesting language, and I spent six weeks one summer traveling around Hungary, making use of my very basic Hungarian abilities. Pogácsa and peaches are what I associate with Hungary. I still speak pretty good German, and my current project is learning Dutch, which I've been at for the last two years. I think I'm doing reasonably well at speaking and reading Dutch, but I'll likely never become fluent until I live in the Netherlands for a couple years or spend a lot of time around some native Dutch speakers. Als jij Nederlands kan spreken, zou ik graag met jij Nederlands praten. I absolutely love history. I enjoy reading books about history, listening to history podcasts, and visiting historical places. I also very much enjoy playing Europa Universalis. I love traveling with my wife and kids, usually going on a multi-week trip every couple years. Recently, I've traveled to Iceland, Germany, and the Netherlands. We liked the Netherlands so much, we went there twice. I have a big list of places I'd love to visit, including Australia, Thailand, New Zealand, the Azores, and Norway. I enjoy hiking and going for long, leisurely bike rides. I find the Netherlands a bit of a paradise for bike riding with their fantastic bike paths. I highly recommend trying them out if you ever visit the Netherlands. I'm be interested in hearing what you have to say. You can contact me at kpeter@inquisitivedeveloper.com or on Twitter at @KevinPeterEG.